You might claim the interiors of the United States were a bit sterile compared to the Queens although the Big Ship’s style has become shockingly popular with the vast rise in popularity of mid-century furniture. 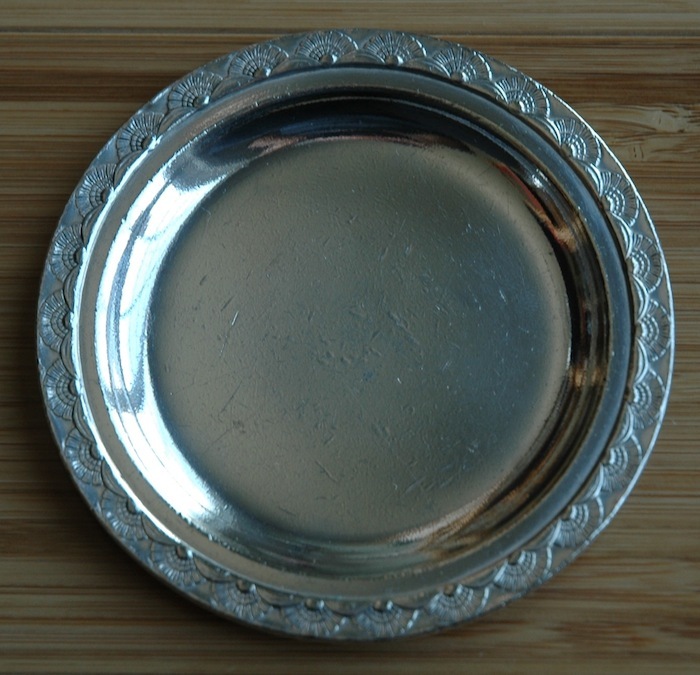 I don’t think anyone could knock the simple beauty and elegance of the Manhattan pattern silver however. These butter pats sport the famous pattern and have the added benefit of being cute. They are only about 3½” across. 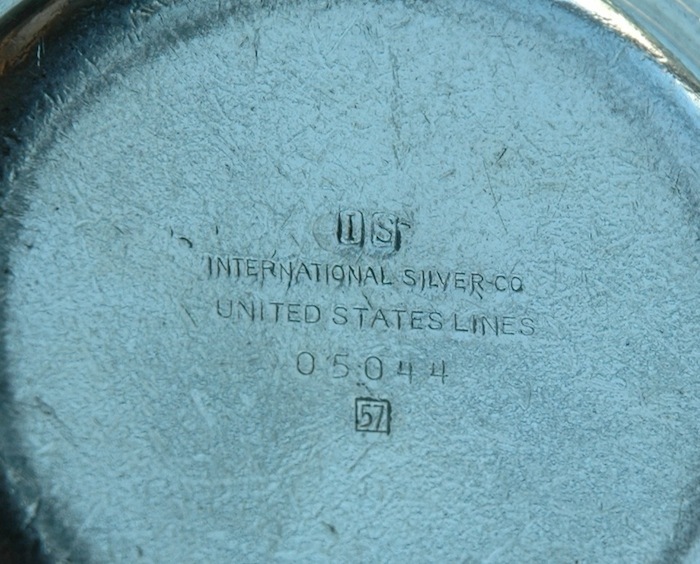 A pair is available, and both are made by the International Silver company. One is dated 1939 and was most likely made for the America. The other is dated 1957 and probably ended up on the ssUS. 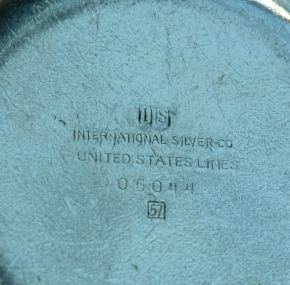 This is the first instance that I can remember having a pre-war International Silver item. Typically, the pre-war silver is Gorham. Both are in very good condition with some use marks and dings. Two available.